Guest Editors who wish to submit an issue proposal to The Open Biochemistry Journal are requested to complete the following online form. 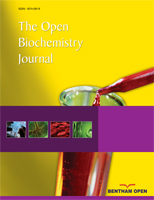 The proposal of thematic issue will then be immediately forwarded to the Editor-in-Chief/Co-Editors/Executive Editor(s) of The Open Biochemistry Journal who will then inform Guest Editors with a decision about the submitted proposal. "We have always had a fruitful cooperation and long-term experience of publishing with Bentham Open." "A number of our original papers have appeared in its different journals, as the Bentham Open Publishers provides sufficient research in the field of science and technologies (belonging to the pharmaceutical, biotechnology, biomedical industries etc). The staff of the Bentham Open always treat our papers very seriously and gently during the rutile paper reviewing process, so far we always felt their kindness and highly cooperative support. Today, Bentham Open is providing a great support to science and research, giving opportunities of high standard publishing as well as promoting and enhancing selected papers around the world through communication and exchange of global scientific education."